I’m not in the habit of staying in Premier Inns. When I do, it’s usually only ever due to their location, and never because I particularly want to. 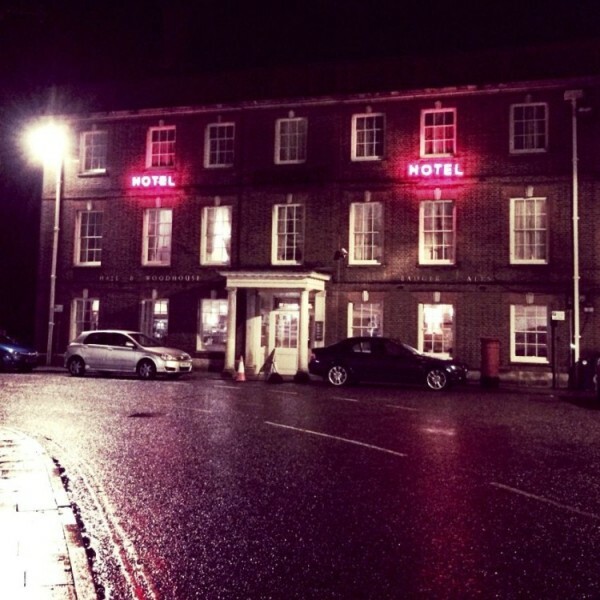 Once again, primarily location driven, I booked to stay at this hotel in Walsall. The room was of the standard Premier Inn offering, which if you’ve never stayed in one, is pretty basic, but usually with a comfortable bed, as they use Hypnos beds. The biggest difference to the standard room was the bare patch of paint on the wall, from where a bracket had been removed, but was never bothered to be touched up. One of the first things I do as I first arrive in a hotel is to perform WiFi speed tests. 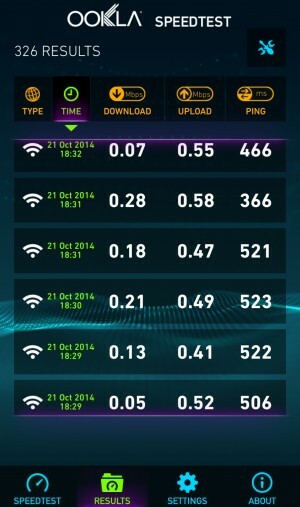 Bearing in mind you’re charged £3.00 per 24 hours in Premier Inns, you’d expect the WiFi to be of a useable standard – well so would I. Unfortunately, the strength was unbearably poor, and totally unsuitable to provide for guest use, chargeable or not! As I passed reception I reported the problem and the receptionist said she would contact the provider to check it out. I popped next door to the oddly named “Bentley Green, Table Table” pub/restaurant, where I enjoyed a meal and good, friendly service. Breakfast is served there too, and that experience was also good, with similarly good service. Returning to the hotel, the receptionist, who to be fair had little understanding of what WiFi is, let alone signal strength, had duly spoken to the WiFi provider. When she reported the service to be “operating perfectly”, I asked for the provider’s contact details. It was then I decided not to stay the second night I had booked, as I simply can’t operate without WiFi! Leaving is one of the best ways to force the issue of bad service and another is to inform others that paying for something you don’t receive is unjust. (My £3.00 fee was refunded by the way). I figured the provider needed some feedback, as “operating perfectly” is so far down the list of adjectives with which I’d describe their WiFi, it’s unreal. I sent screenshots of the figures polled, and at their request included details of the device used to obtain them. Unbelievably, I only received an automated response, which served only to reinforce my belief that no-one cares! Quite simply, purporting to offer a service, which you even have the audacity to charge for, you’d better bloody well deliver it, or I’m off! If I can’t access the internet – I can’t work! No matter how good other aspects of this hotel are, it scores low – and no matter how conveniently located it might be, I won’t be returning!